Myrtle Beach golf trips with your buddies are part of what makes the Grand Strand so enjoyable. When you plan a Myrtle Beach golf trip, you and your buddies will want to take advantage of as many of the great Myrtle Beach golf courses that you can. No doubt for those first timers, you’ve probably read and heard a lot about the area. We encourage you to keep an open mind about the Grand Strand for your Myrtle Beach golf trip. The Grand Strand is a cross between Daytona Beach and Wisconsin Dells. Why you may ask do we say that? Daytona Beach is an obvious comparison with the beach, high-rise condos and hotels and lots of families and tourists. Wisconsin Dells has a main area similar to Myrtle Beach, lots of miniature golf courses, entertainment traps for tourists and hundreds of restaurants to choose from. Both Daytona Beach and Wisconsin Dells market themselves as affordable family destinations built around water (water parks or the ocean), just like Myrtle Beach. The main difference between these two places and the Grand Strand is the Myrtle Beach golf trips! 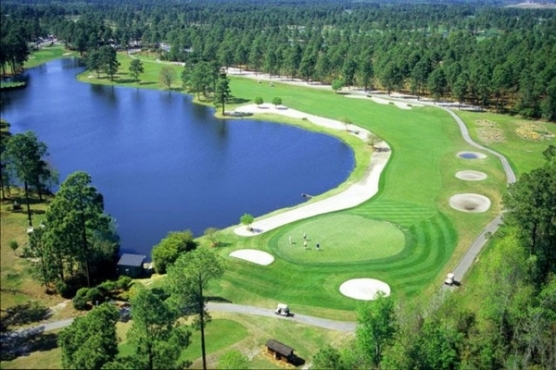 One of the main attractions to the Grand Strand is the Myrtle Beach golf trips for all group sizes. With over 100 area golf courses, restaurants and bars, entertainment attractions and live shows, the choice for after golf activities is endless. Year after year, the groups return to the area for their Myrtle beach golf trips for all the variety and fun that they have. Myrtle Beach golf trips are as much about spending time with your buddies as it is about the birdies and bogies on the golf courses. 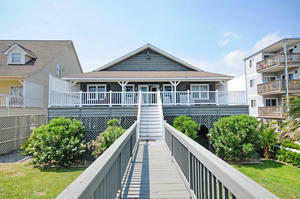 During your Myrtle Beach golf trip, choose a great location to house everyone in a central location. One consistent theme you will find with your Myrtle Beach golf trip is how tough the courses play and how great the weather is. Year after year you will return to Myrtle Beach for your golf trip because of all the choice in golf courses, fun for evening activities to choose from and of course the ability to customize both your accommodations and budget for your Myrtle Beach golf package. If you don’t hit one course during your Myrtle Beach golf trip – don’t worry – you can play it the next time – and there will be a next time.